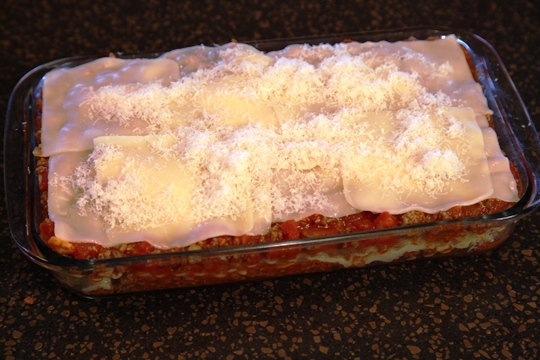 Looking for an easy lasagna recipe? Well, look no further! 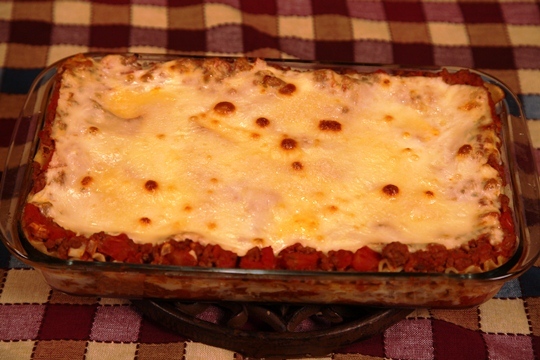 This is my favorite lasagna recipe. 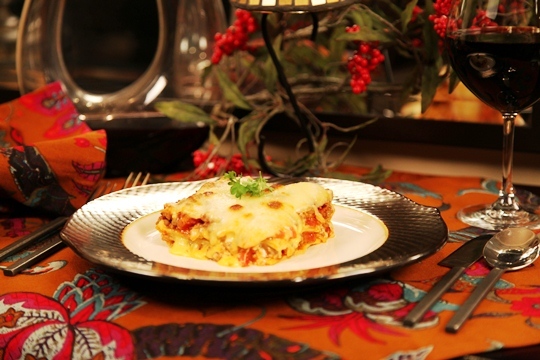 Lasagna is a great recipe for family dinner or for easy entertaining. 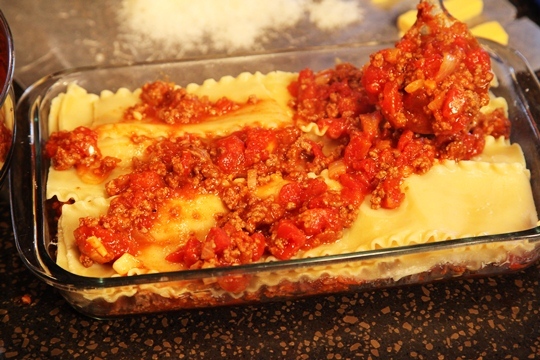 My lasagna recipe is easy to make ( including the homemade sauce) and can be made ahead of time , refrigerated and then baked when you are ready to serve it. 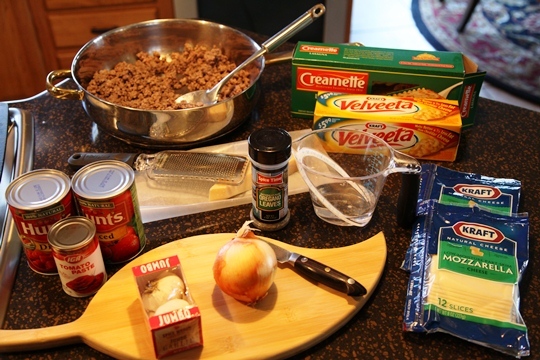 I like this recipe better than other lasagna recipes because it uses Velveeta cheese instead of ricotta cheese or cottage cheese. 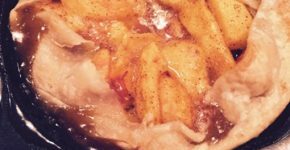 Here are a few of my time saving tips for this recipe. I buy ground chuck in 4 or 5 pound quantities and brown. I package the browned ground chuck in 1 pound quantities in freezer zip lock bags. 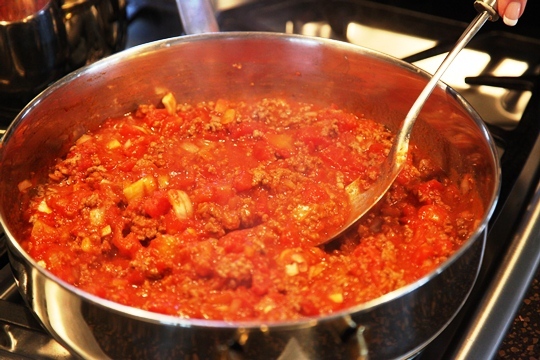 This saves a lot of time when I’m making this recipe or another recipe like my Almost Famous Chili or Hamburger Quiche. I pre-chop onions and store them in the freezer in zip lock bags. 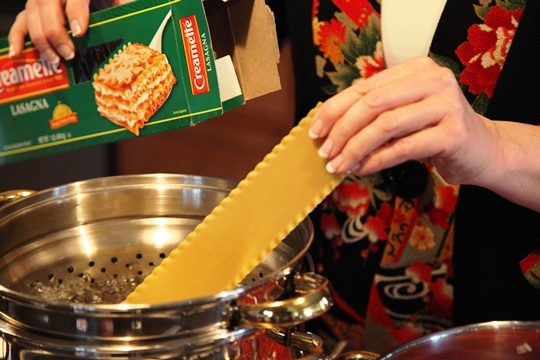 You can boil the lasagna noodles up to 24 hours in advance of assembling this reipe. Just cook and drain, then wrap in plastic wrap and then foil and refrigerate until time to assemble this dish. Make the lasagna but do not bake it. 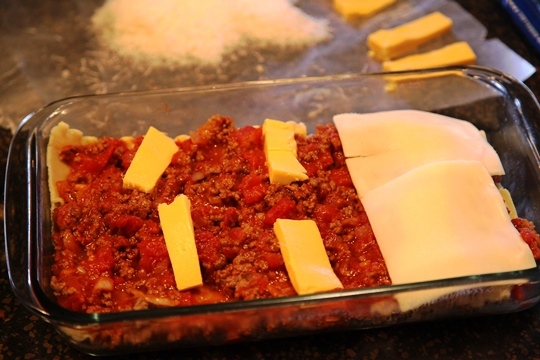 Cover the dish and refrigerate until ready to bake. Just let it set out about 15 or 20 minutes before you put the dish in the hot oven. Cook the ground chuck and drain. Add onions, cook until tender. 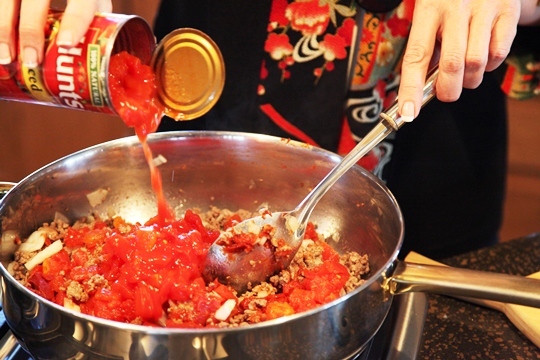 Stir in tomatoes, tomato paste, water and seasonings. Cover; simmer on low for 30 minutes. 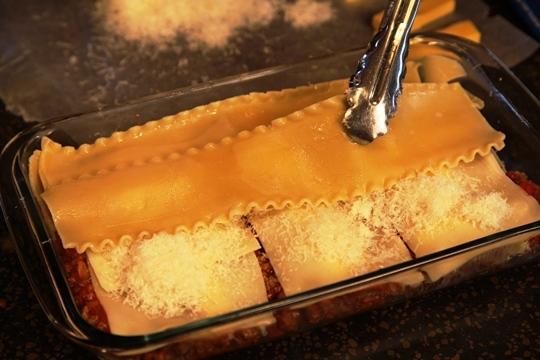 While the sauce is simmering, cook and drain the lasagna noodles. 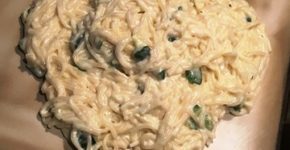 In a 11¾ X 7½ inch baking dish, layer half of the noodles, half of the meat sauce, ½ of the mozzarella cheese slices, half of the velveeta cheese and half of the parmesan cheese. Repeat the layers. Bake at 350 degrees for 30 minutes. Let stand 10 minutes before serving. Hot out of the oven…Cheesy and Bubbly.. 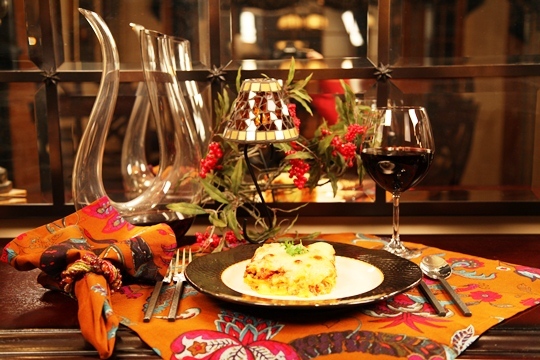 Remember, let’s make life special by sharing great food with our family and friends! Enjoy! 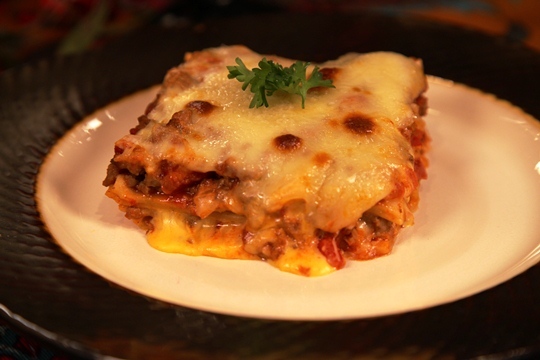 I have been making velceetq lasagna for years. And it is the best…melts in your mouth for sure!!! !